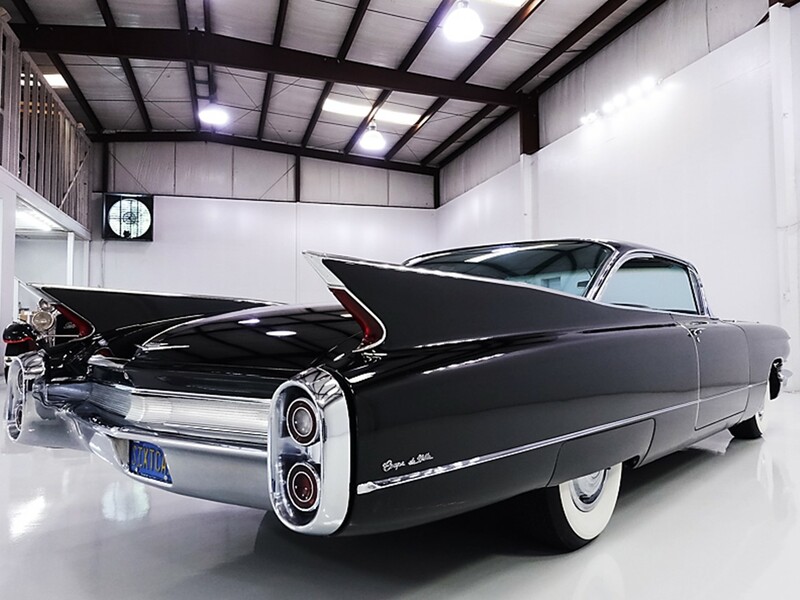 Posted December 29, 2017 by 99MilesPerHour4 Comments on 1960 Cadillac Series 6300 Coupe deVille – Dignity,Distinction, Grace, and Beauty	"As the Standard of the World Turns"
The traditional Cadillac remains as one of the most revered automobiles to connoisseurs world-wide. 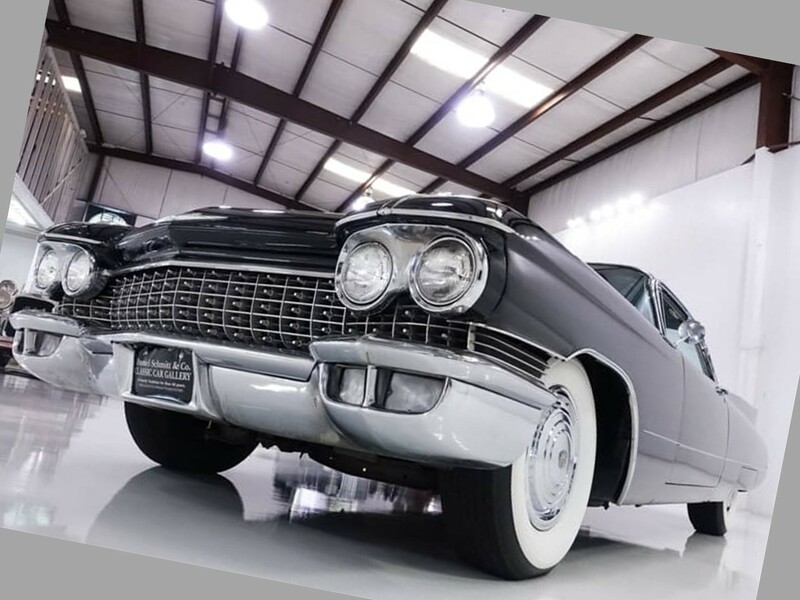 One model in particular dominated this rare arena becoming “America’s favorite luxury car.” The iconic and unforgettable DeVille series is a jewel in the crown of General Motors. 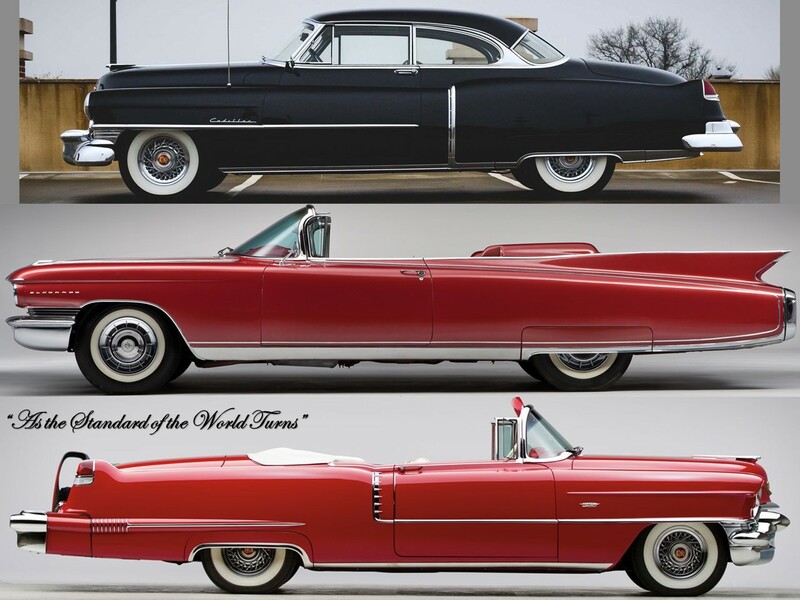 Coupes deVille and Sedans deVille consistently took turns leading sales production totals. Their unequalled pre-eminence made them the universal status symbol. 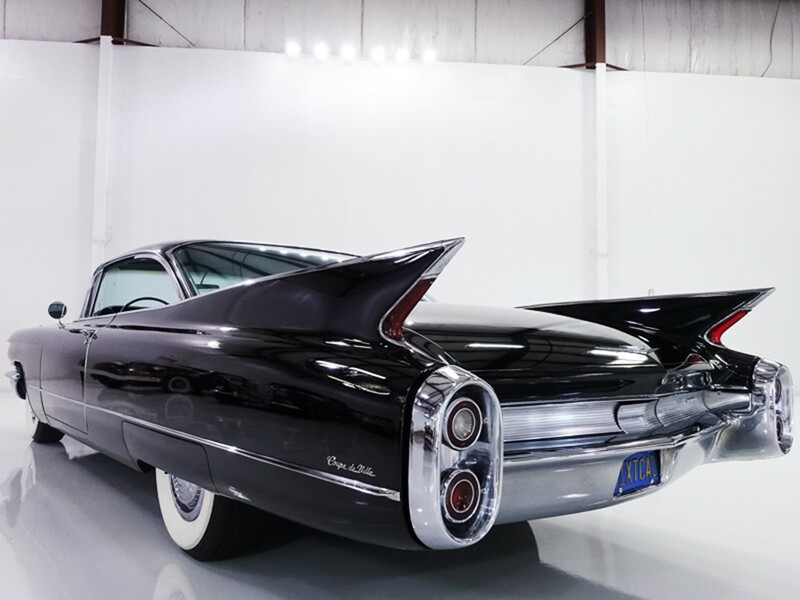 The 1960 Cadillac Series 6300 Coupe deVille is the quintessential example of American excess – flamboyant…yet tasteful. It echoes success. There’s new elegance and refinement. 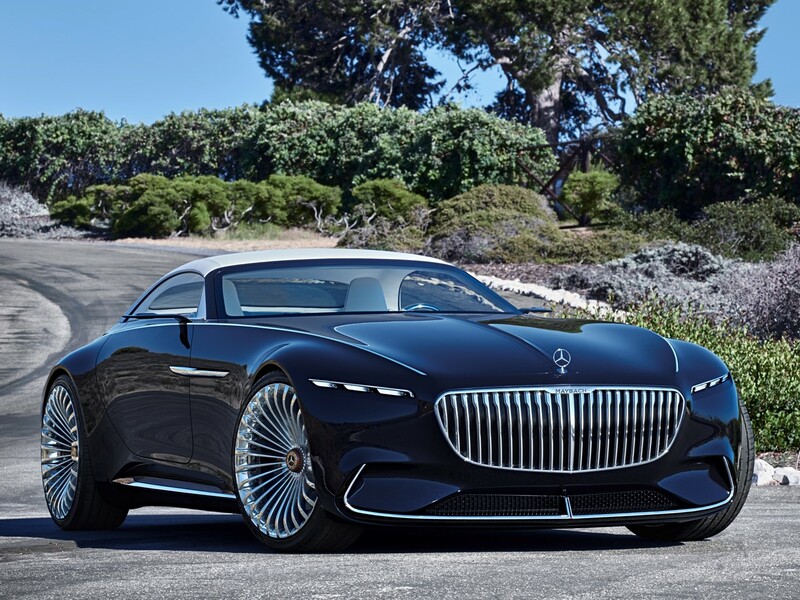 The epochal “Standard of the World” had once again left its indelible signature in the ultra-luxury car segment. 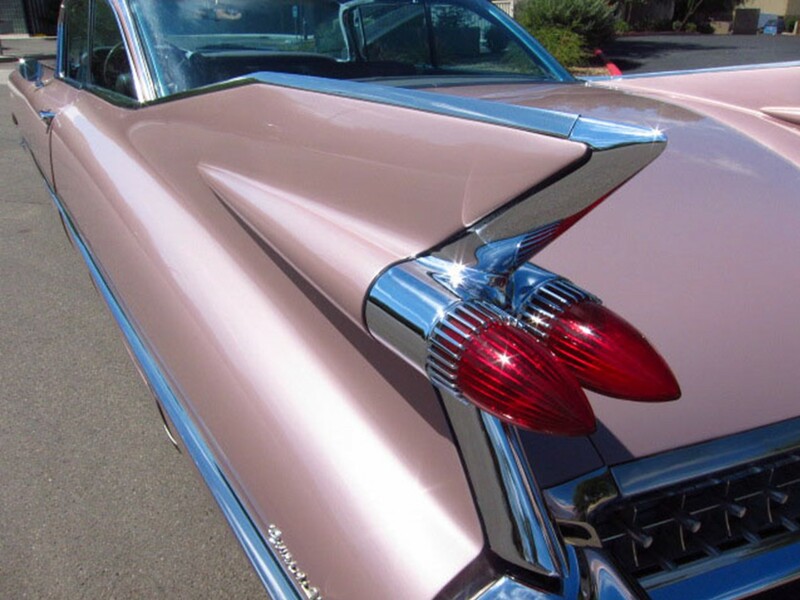 Bill Mitchell, chief design engineer for General Motors gave the 1960 Cadillac an elegant poised dignity. 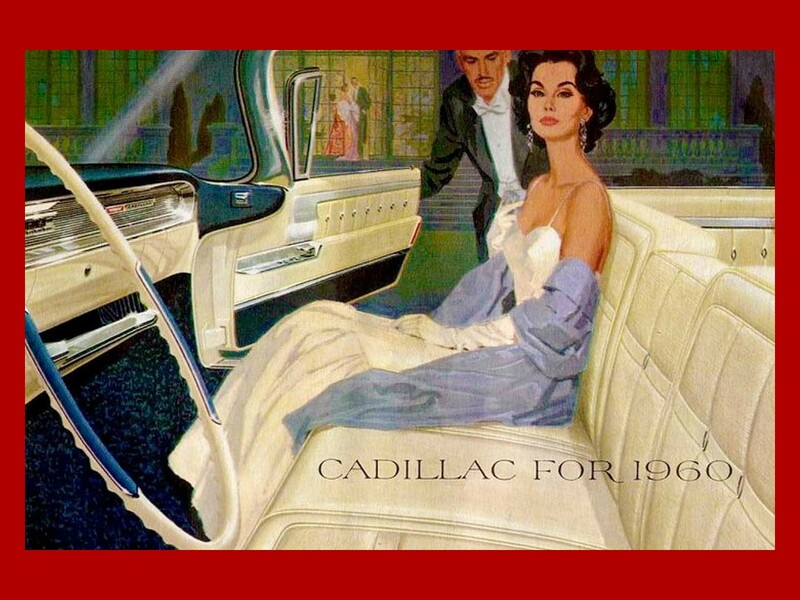 For 1960, Cadillac presented a refined new sophistication. 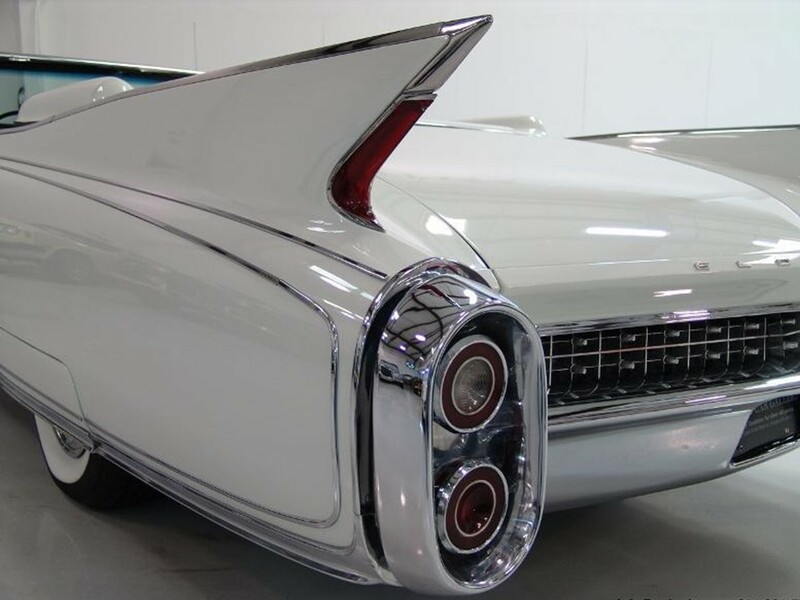 The tail fins were trimmed and tapered into the bodywork. This made the entire vehicle appear longer, lower, and wider. 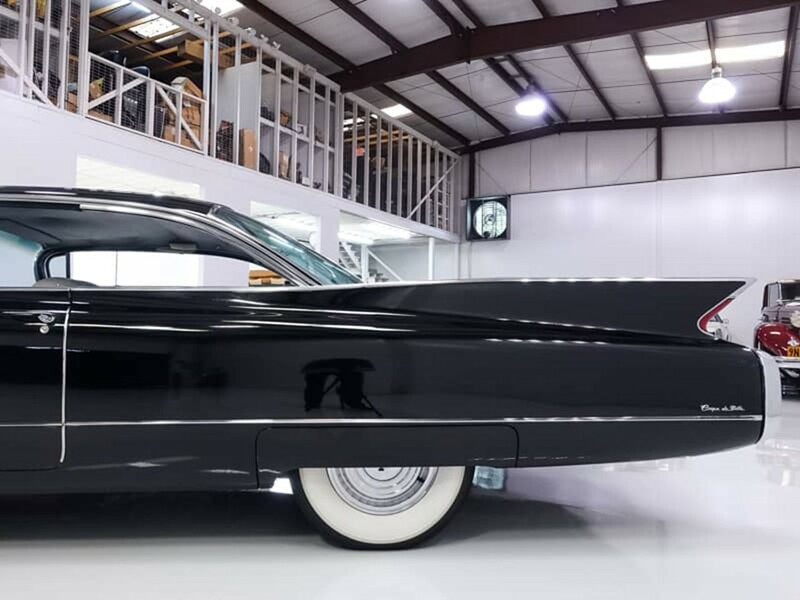 Bill Mitchell removed the ‘excess’ from Harley Earl’s genre making Cadillac even more luxurious. 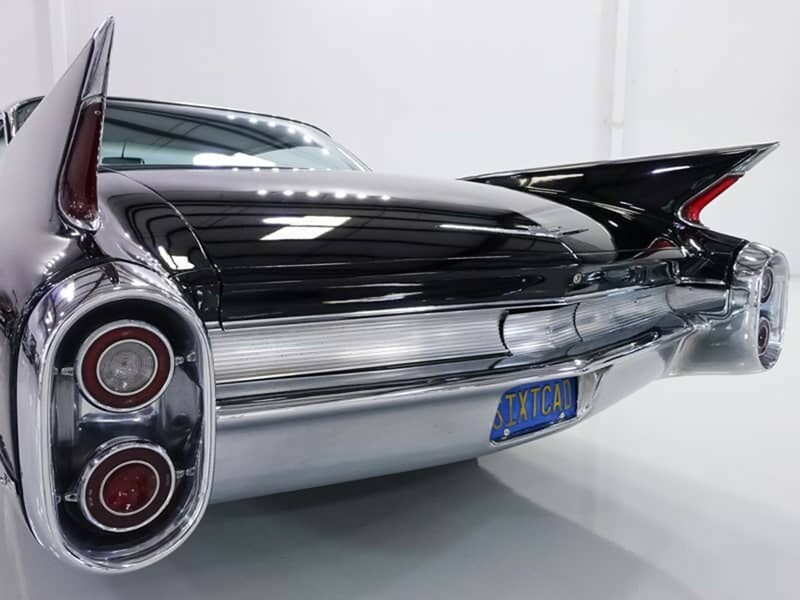 The tail lamps are now integrated into the fins for Mitchell’s “tailored look.” Turn signal lamps and back-up lamps are neatly set into chrome oval nacelles coordinating the contemporary new restyle. The front-end ensemble is augmented by its wide cross-hatch grille design with alternate bars beveled to reflect a contrasting jewel-like pattern. A less ornate bumper is more sophisticated. 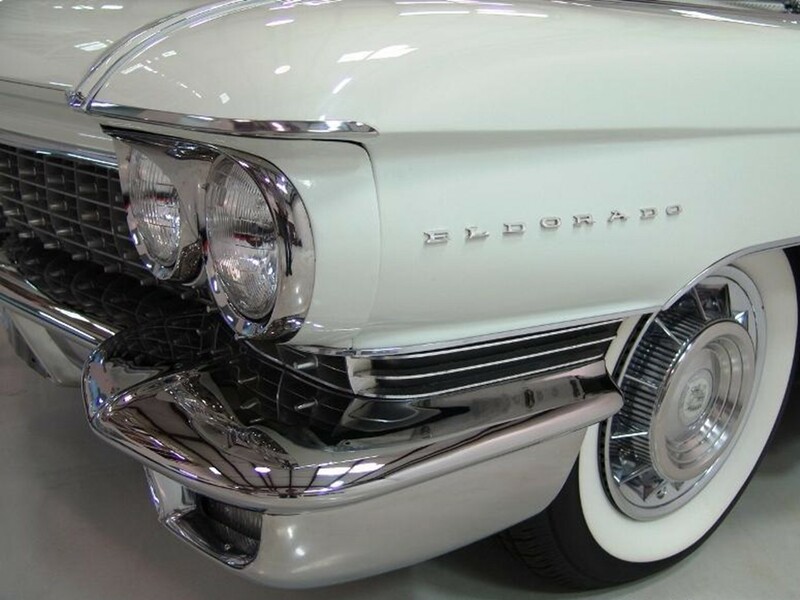 Turn signal monitors integrated into the top of the crown moldings atop of each fender flash small amber lights alerting the driver to left and right turns. 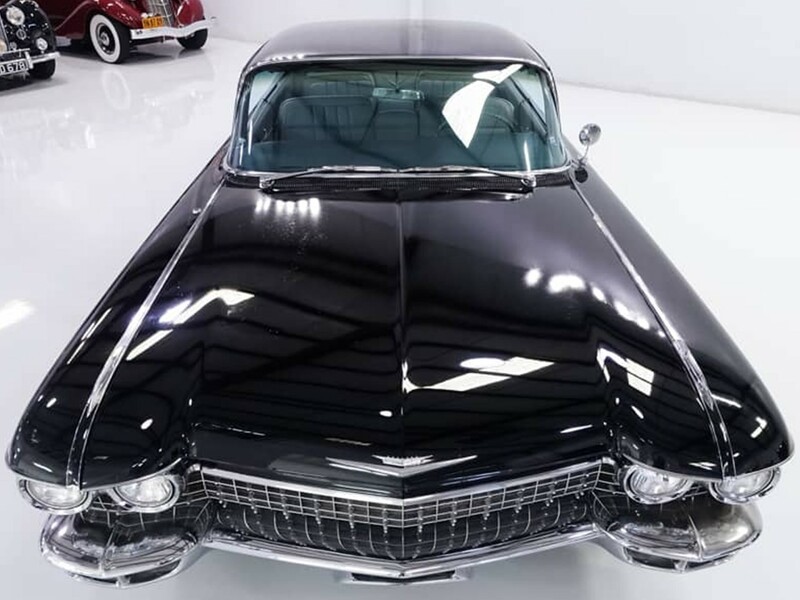 The overall look enhanced Coupe deVille’s sweeping silhouette making it lower, more refined yet completely in character with the “Standard of the World.” It’s remarkable how just a few changes made the 1960 model look completely restyled when it was not. 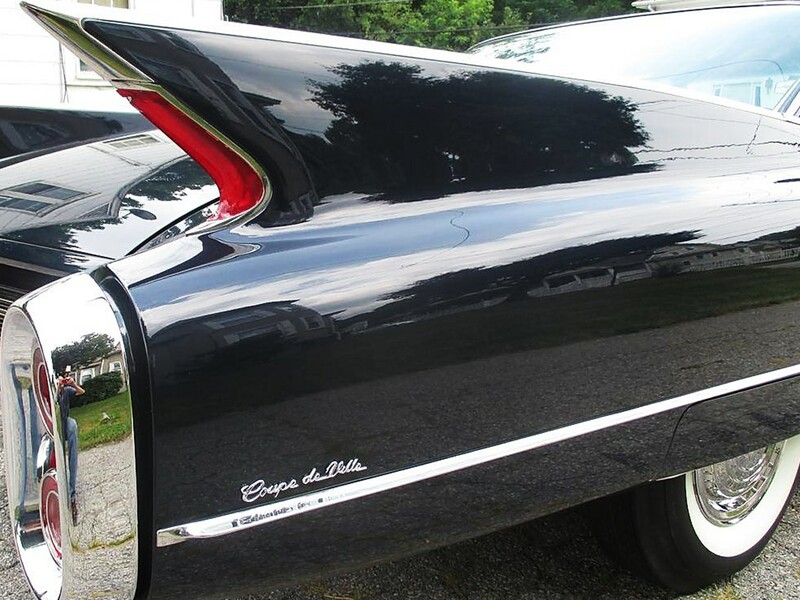 Restrained use of ornamentation gives the car an understated elegance. 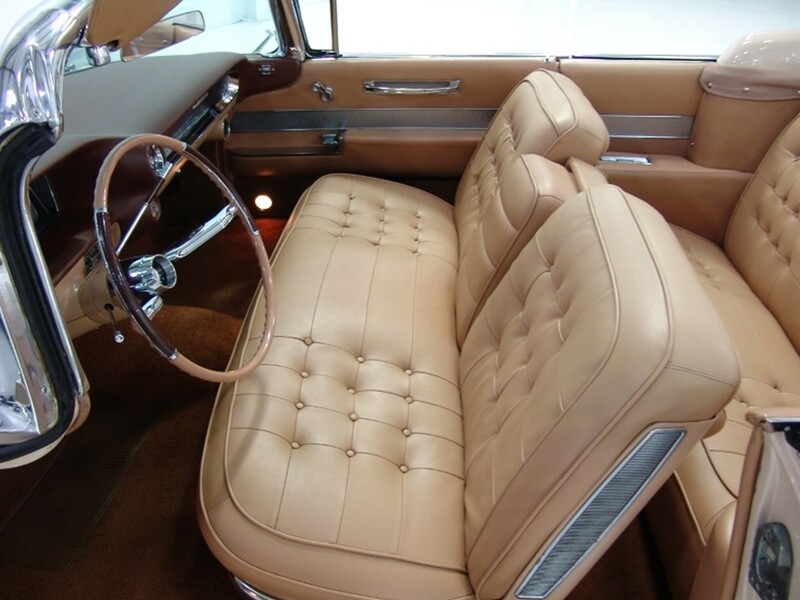 Coupe deVille’s cabin is an exercise in sheer splendor. 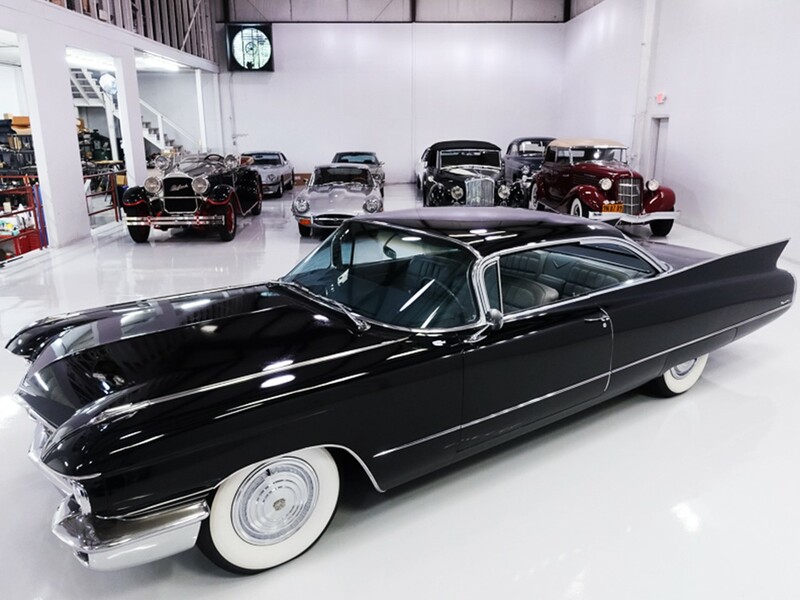 The luxury continues to proliferate…Cadillac-Style. 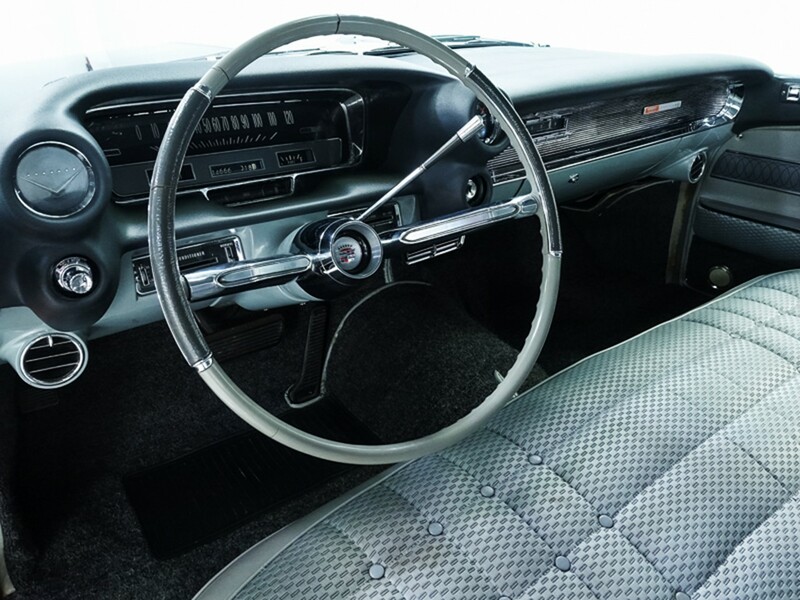 A newly designed instrument panel places pertinent information directly in the driver’s sight for quick assessment; the instrument cluster is recessed into the dash eliminating annoying reflection. 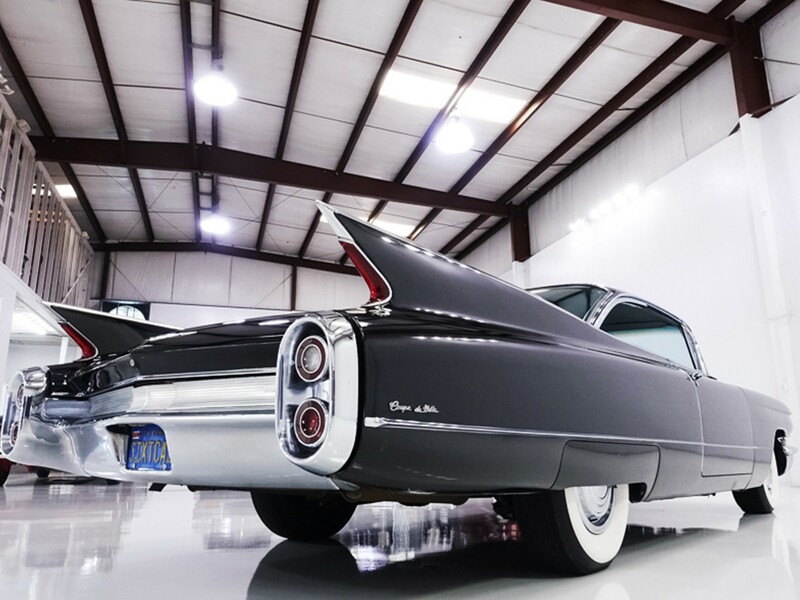 The DeVille series is endowed with special appointments to make each journey as rewarding as the destination. Wide folding center armrests front and rear augment the wide bench seating for sofa-like comfort. 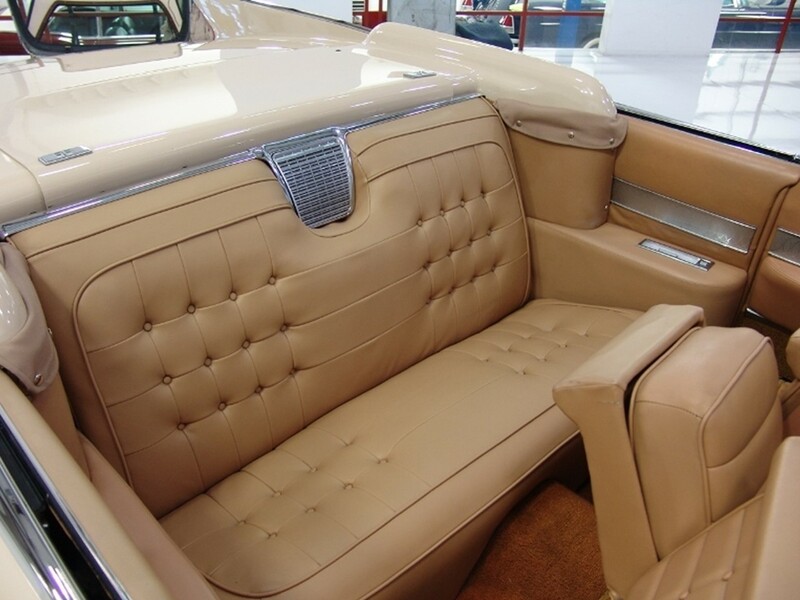 Coupe deVille’s deep-seated elegance pampers up to six passengers spaciously. Power windows, 2-way power seat, power steering and brakes all provide a constant source of pleasure. 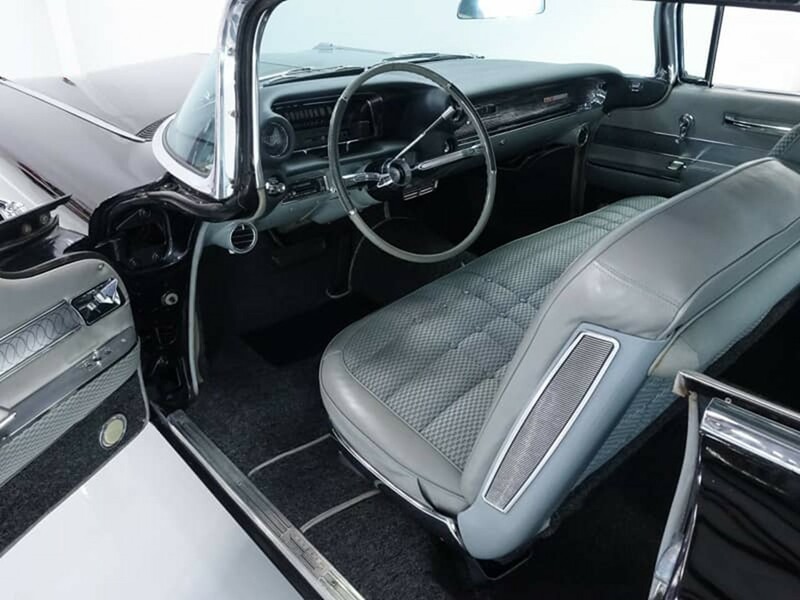 One may repose within the epitome of luxury with the standard diamond patterned nylon Chadwick tailored cloth interior or optional Cambray cloth with Florentine leather bolsters. 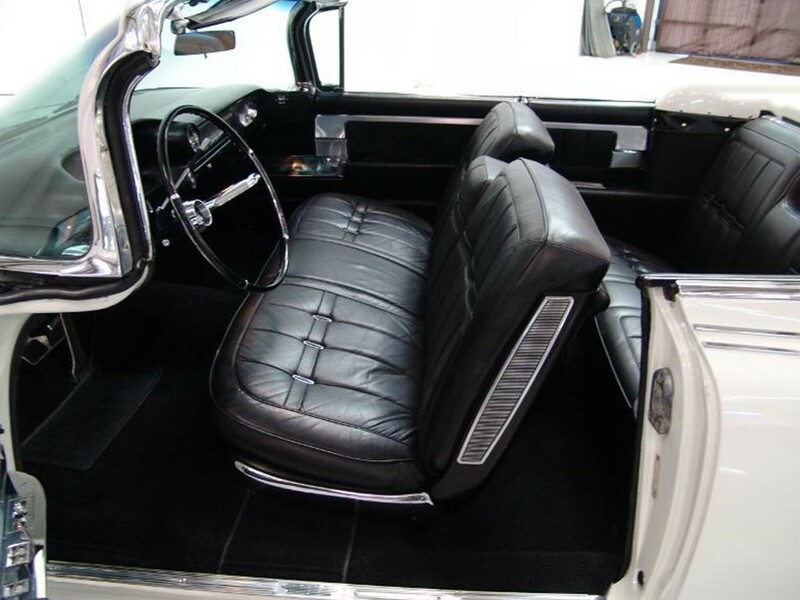 Elegant Trieste nylon blend deep loop-pile carpeting flows lavishly throughout covering floor, lower door kick panels, and cowl sidewalls. The front floor tunnel is lower and narrower as a result of a more compact design of the transmission housing. 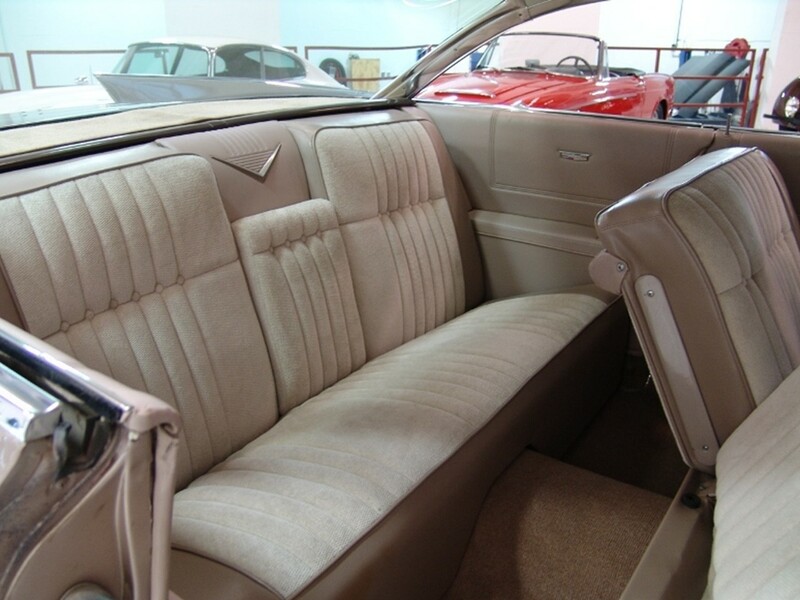 This equates to even more foot room for front seat passengers. 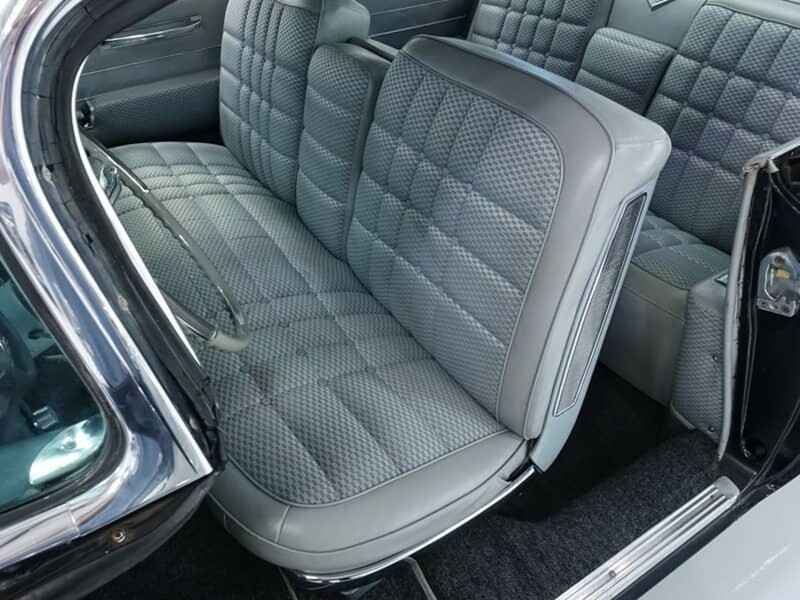 The accelerator pedal has a recess at the base which the ladies like; this accommodates high heels making the alternation between the brake pedal easier. The pedals have improved spacing for added convenience. 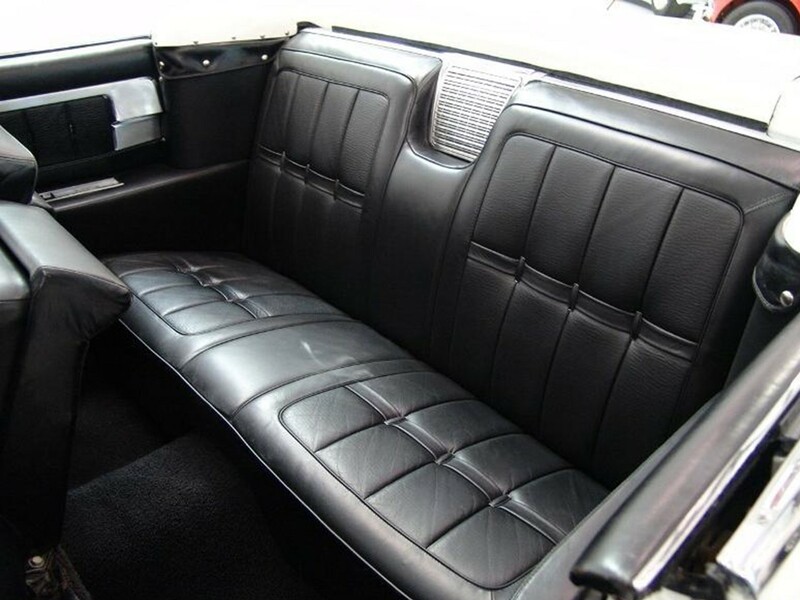 Coupe deVille interiors are designed and handcrafted by Fleetwood to suit the most discriminating taste. 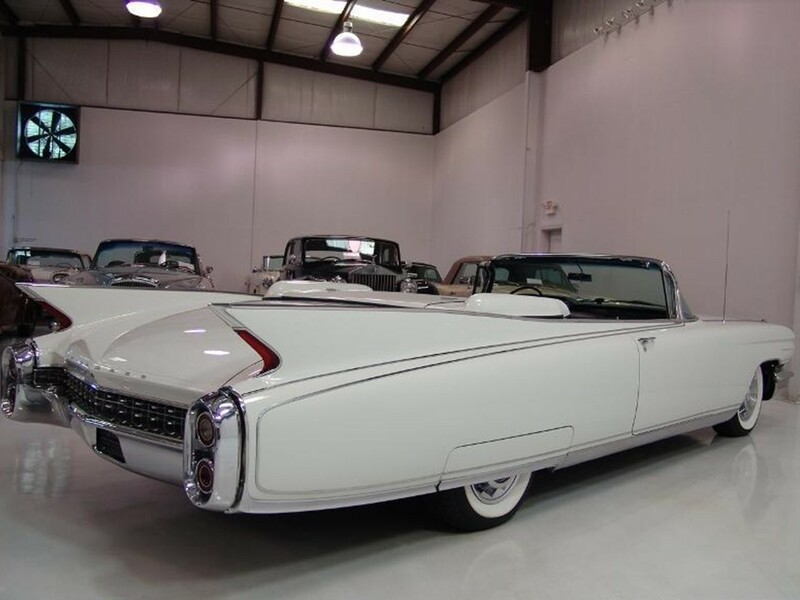 The dramatic elegance and majesty of Coupe deVille for 1960 could have been ordered to suit the buyer. 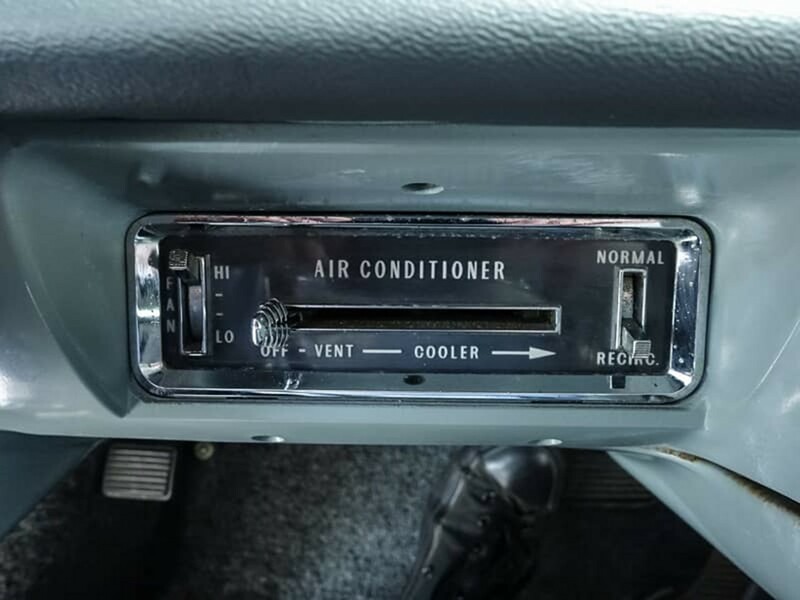 These amenities include Cadillac Air Conditioning that not only heats, cools but also removes dust, pollen, and smoke. The convenience of power door locks allows front seat passengers to lock and unlock the doors at the touch of a button. 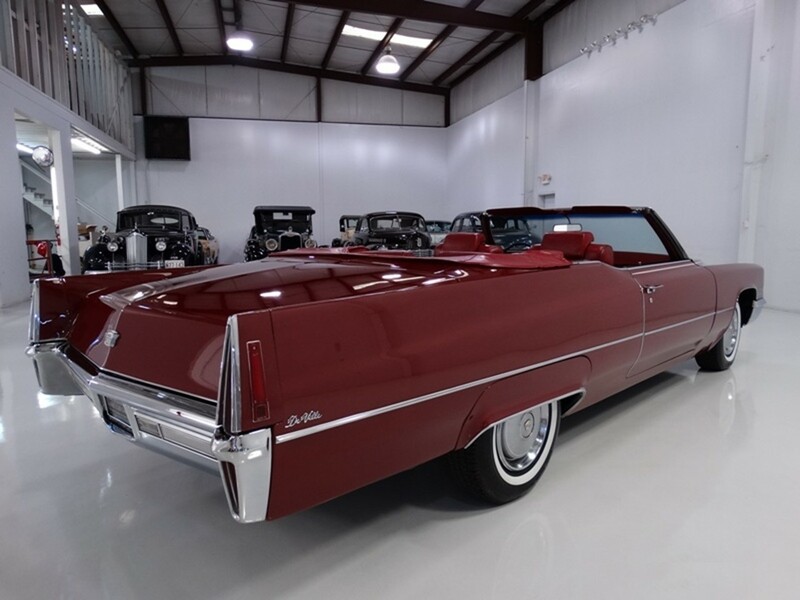 A power trunk lock not only releases the deck lid but also when the lid is lowered it is securely locked automatically. Cruise Control maintains a set speed reducing fatigue on long journeys. 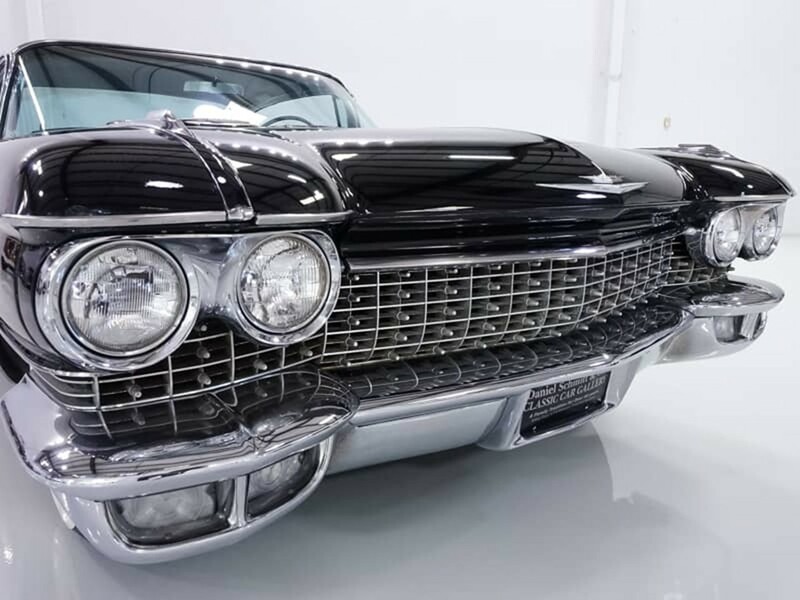 Exclusive Cadillac Guide-Matic headlamp control automatically dips the high beams upon the approach of on-coming vehicles; the high beams ‘blink-off’ a second time as a reminder to the on-coming vehicle to dip their high beams as well. 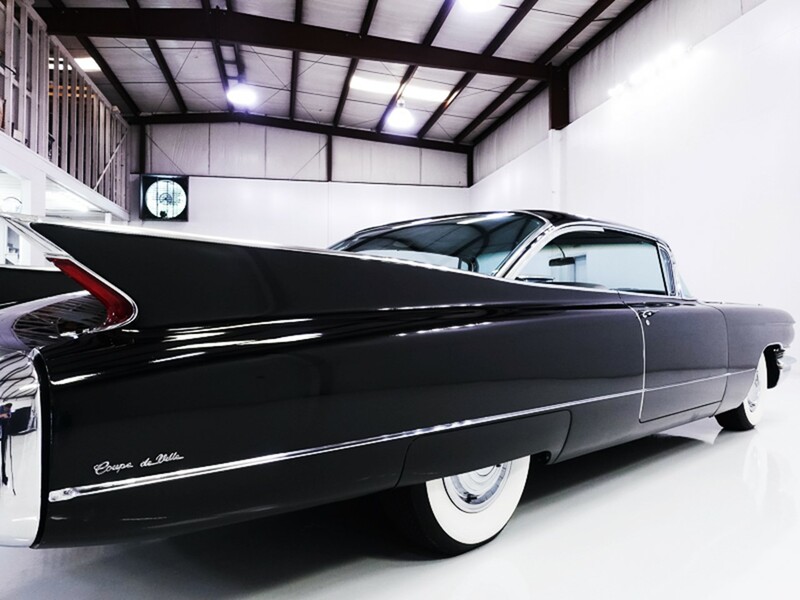 The traditional Cadillac was a blank canvas to become as individual as one’s own fingerprints. 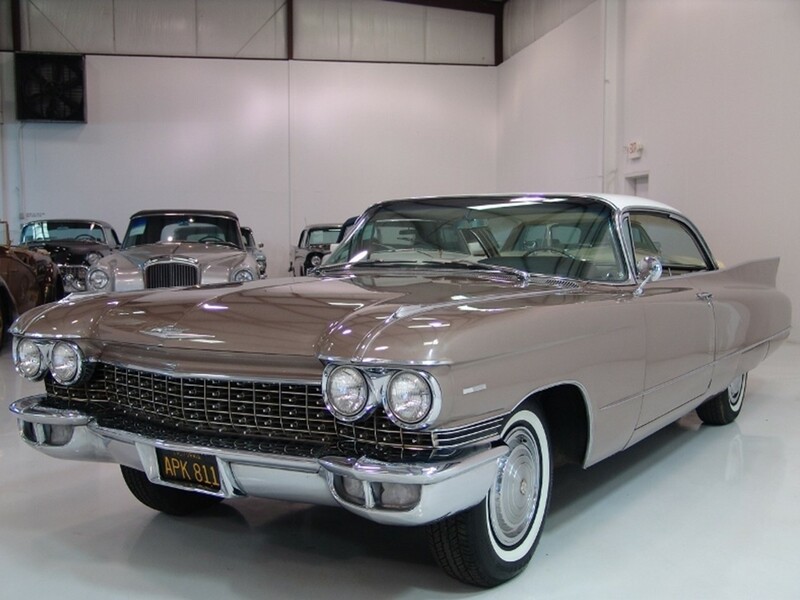 Model # 60-63J style # 6337J 1960 Cadillac Series 6300 Coupe deVille two-door hardtop was base priced at $5,252, has a base shipping weight of 4,705 pounds, and 21,585 were built. 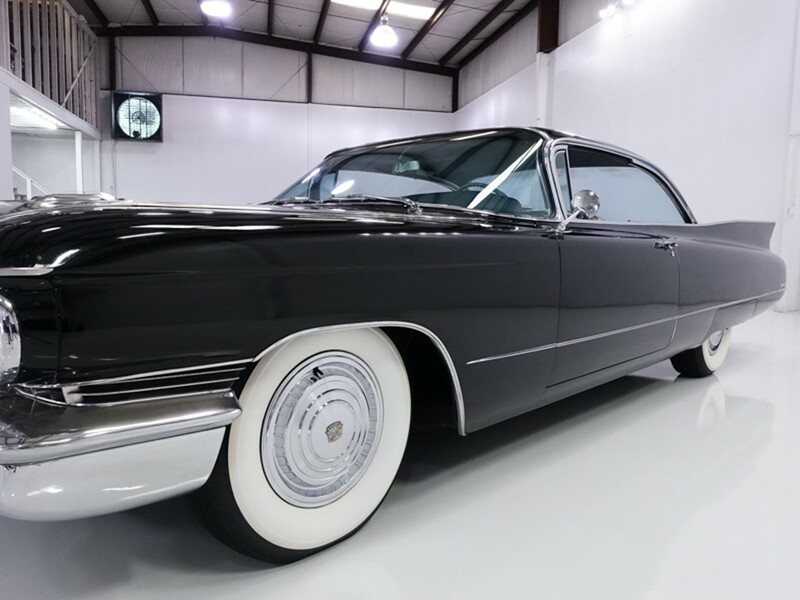 Coupe deVille for 1960 has the luxury length of 225”, rides a long 130” wheelbase, and is 79.9” wide. It is a very large front engine rear-wheel drive vehicle. 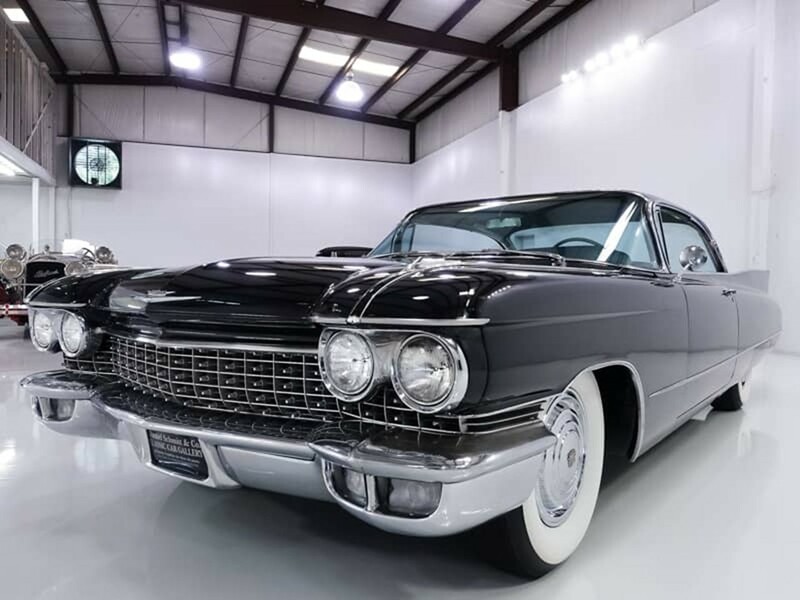 Hagerty Insurance Agency of Traverse City, Michigan values the 1960 Coupe deVille as: $47,200 USD for Concours condition, $29,800 USD for excellent condition, $21,100 USD for good condition, and $13,300 USD for fair condition. 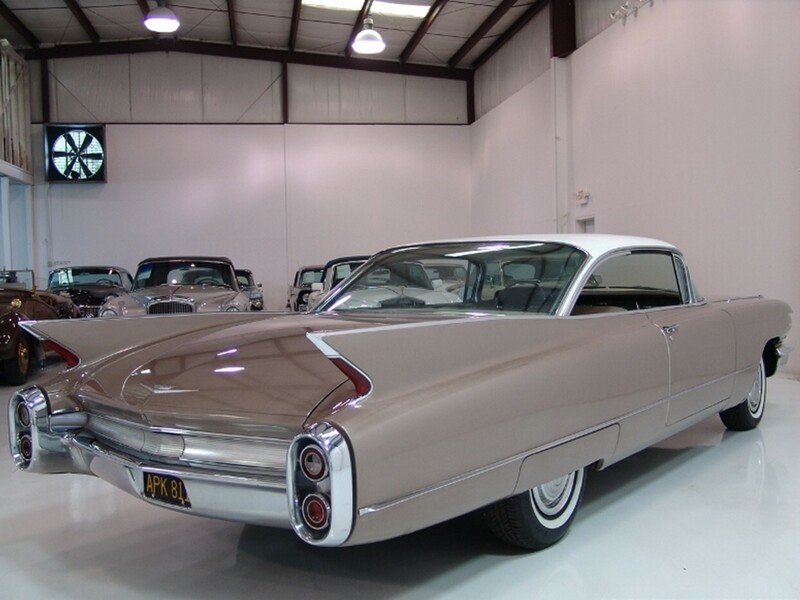 1960 Cadillacs are powered as a true luxury leader should be. 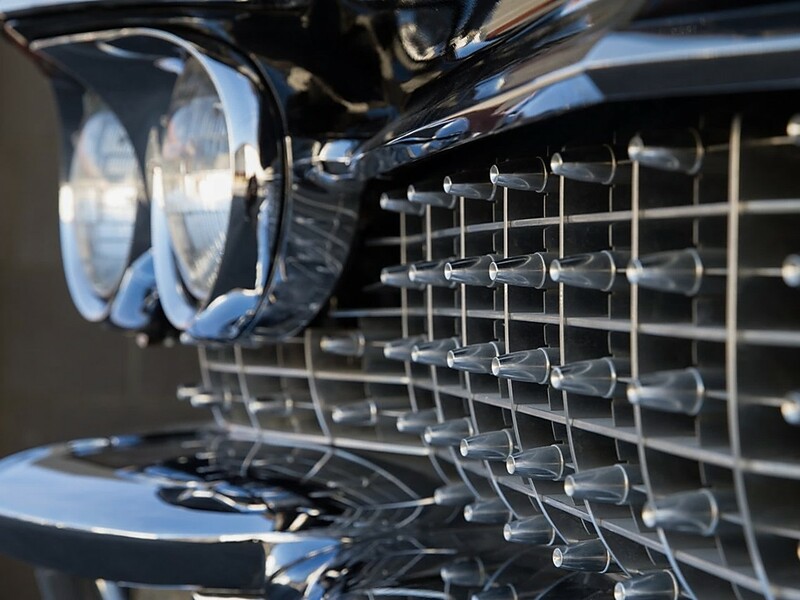 The Cadillac 6.4 litre 16-valve 390 CID V8 provides effortless, silky-smooth operation at all speeds. It’s built using a cast iron block and cylinder heads mounted at three points with Vulcanized rubber engine mounts. 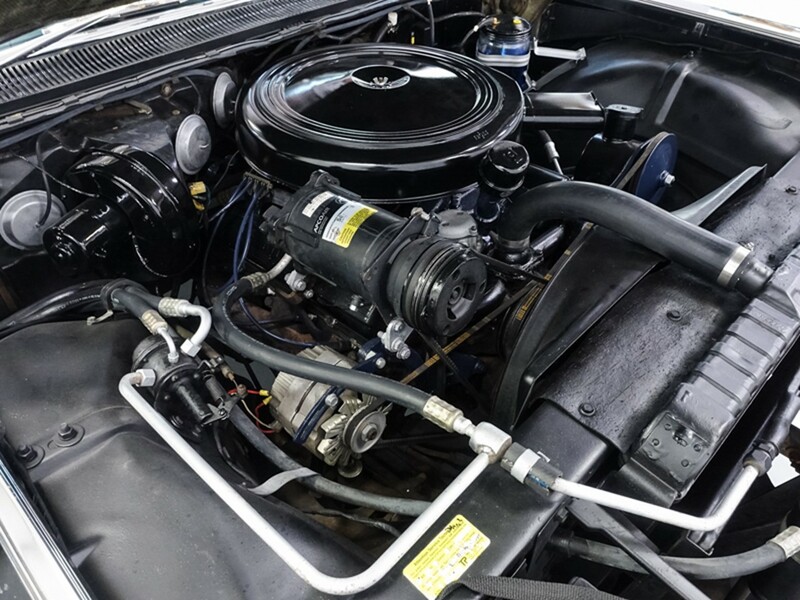 The engine is equipped with a Carter AFB 2814S 4-bbl downdraft carburetor with equalized manifolding, mechanical fuel pump, dry-pack air cleaner, intake silencer, automatic choke, and dual exhaust. 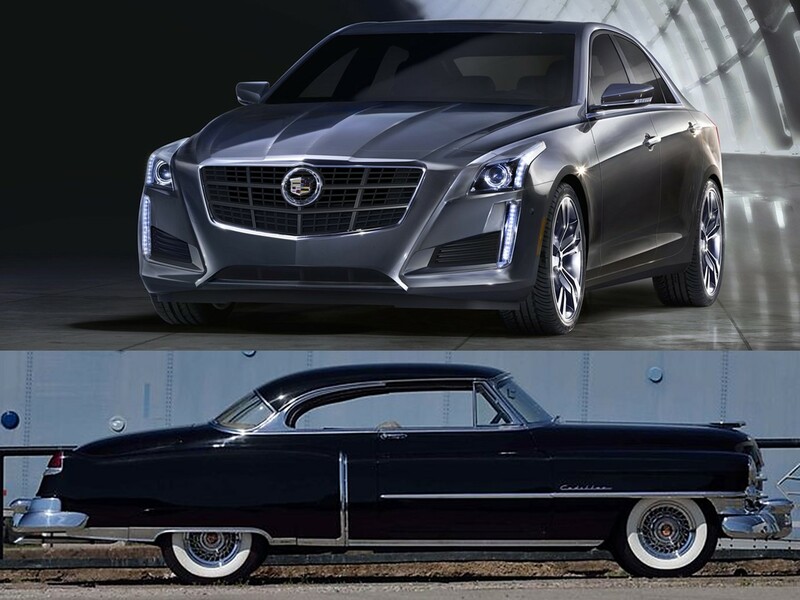 Cadillac has built some really impressive V8 engines. The magnificent 390 CID V8 cranks 325 hp @ 4,800 rpm with 583 Nm of peak torque @ 3,100 rpm. 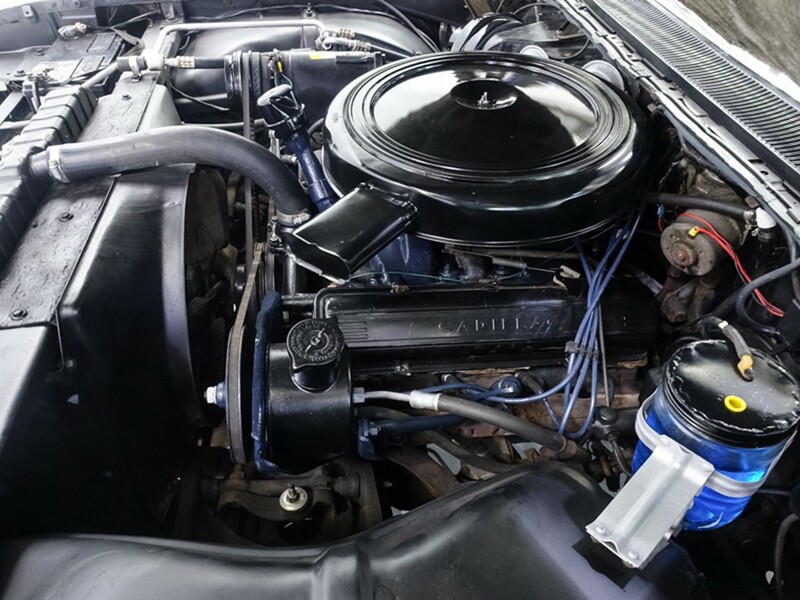 It is capable of obtaining 14 mpg if properly maintained and driven with the primary barrels. Longitudinal acceleration is rated as: 0-60 mph in 10.6 seconds, 0-100 mpg in 29.2 seconds with a top speed in the 122-125 range. It can do the ¼ mile @ 83 mph in 17.7 seconds. 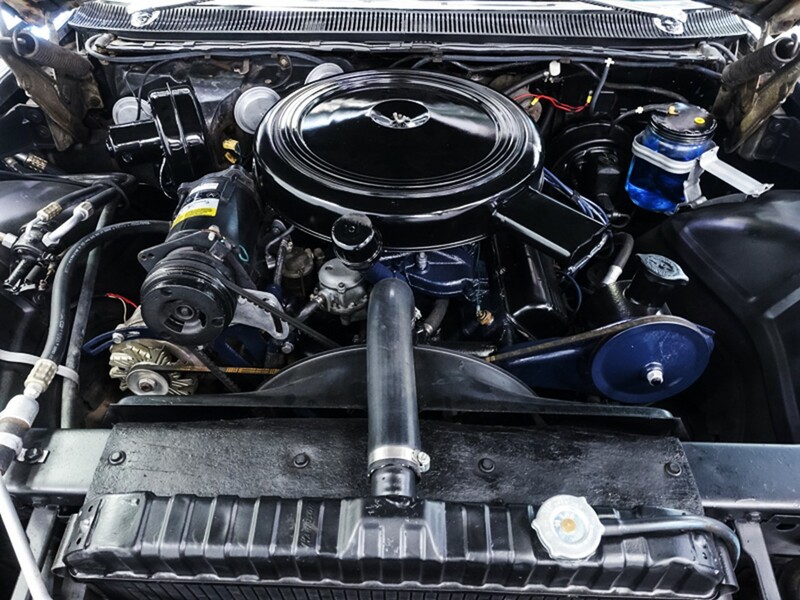 This engine delivers more hp per pound of engine weight than any other luxury car in its class for 1960. 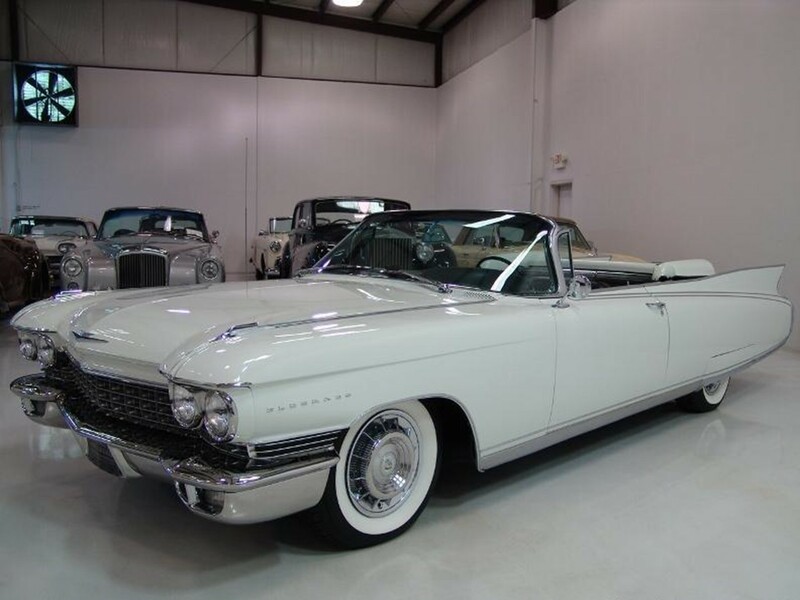 The engine is mated to the highly successful Cadillac Hydra-Matic transmission. It provides dual drive range operation. So, what’s dual range? The left-hand side DR (Drive Range) position allows four forward gear ratios automatically. The right-hand position DR is for city driving locking out fourth gear up to 75 mph providing instant acceleration without step-down. LO range is provided for deep sand or mud and steep grades. 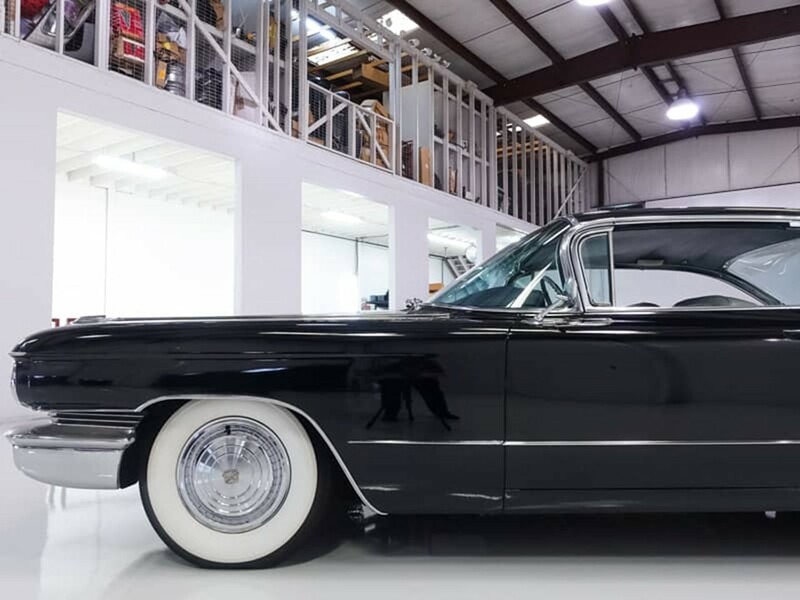 Coupe deVille has a traditional build as body on frame construction. Cadillac’s rugged tubular X-frame yields lower body mounts equating to more interior room and improved overall appearance. The front suspension has upper and lower control arms with spherical joints and helical coil springs which is sturdier than contemporary build automobiles. 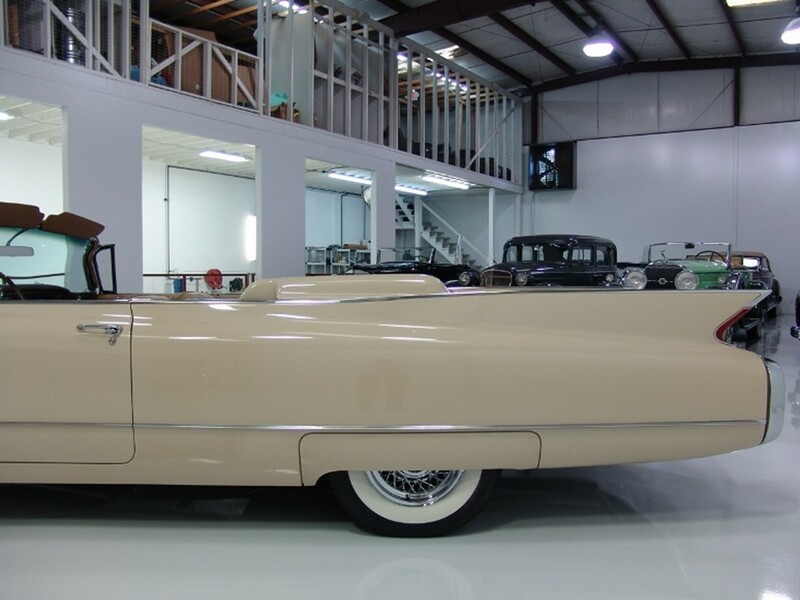 The rear suspension fine tunes the Cadillac Magic Carpet Ride further with 4-link drive and helical coil springs. 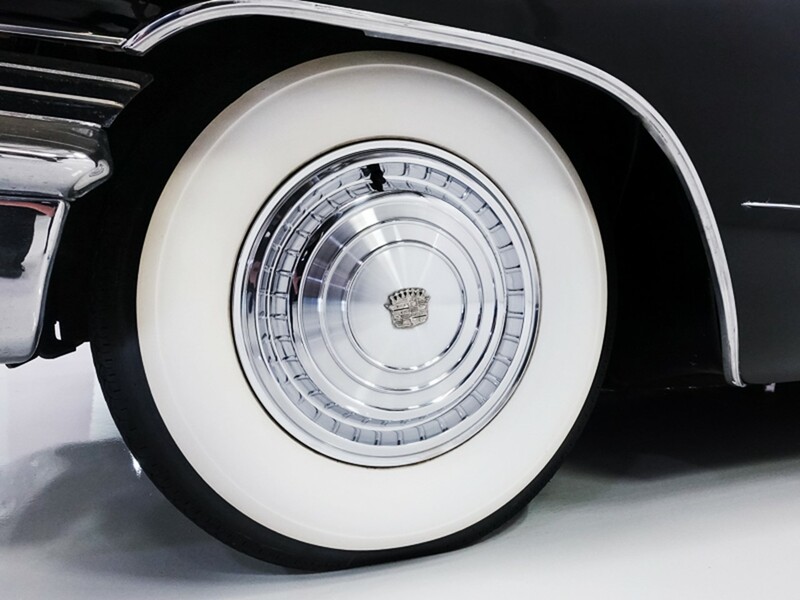 The Hypoid type rear axle has an off-set differential housing to facilitate Cadillac’s straight-line-drive. 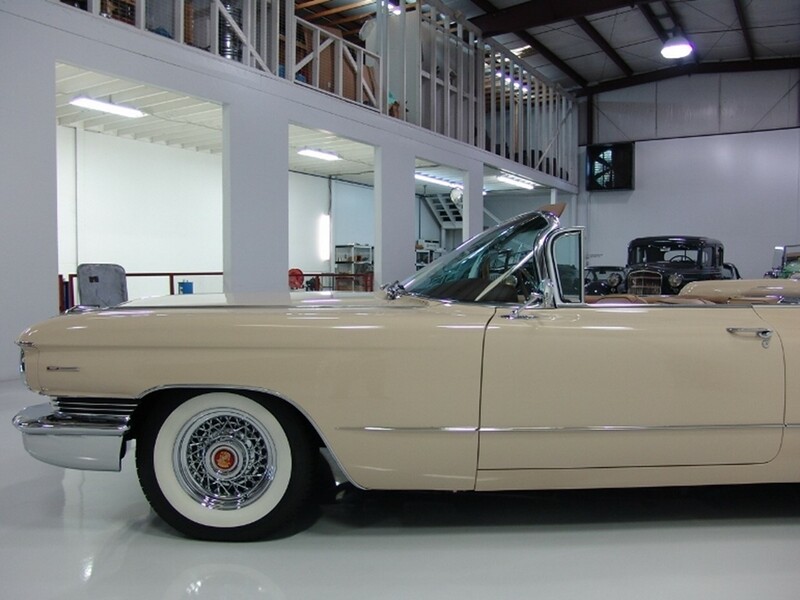 Coupe deVille’s power brakes are drum type with self-adjusting shoes. The brakes calibrate themselves each time the car is driven in reverse and the brakes applied. The rear drums are finned to dissipate heat rapidly. 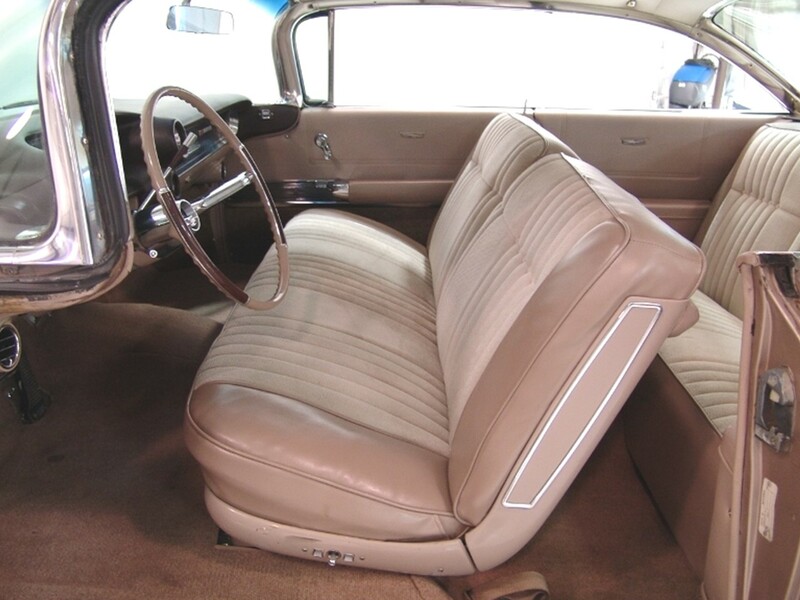 New for 1960 is an automatic vacuum release parking brake that doubles as a tandem auxiliary brake in an emergency. 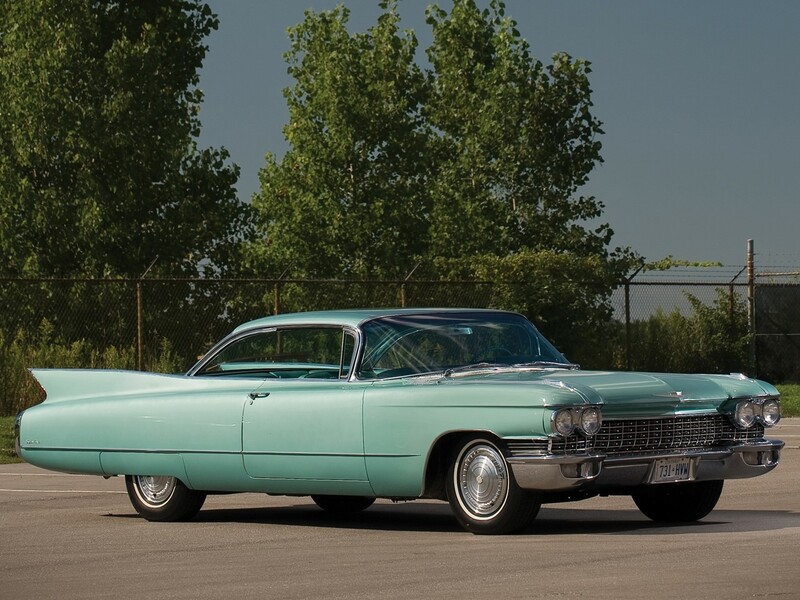 This system evolved into Cadillac’s “Triple Braking System” for the 1962 model year. A split hydraulic master cylinder has independent front and rear braking systems in case one set fails the other set will still maintain 100% braking ability. 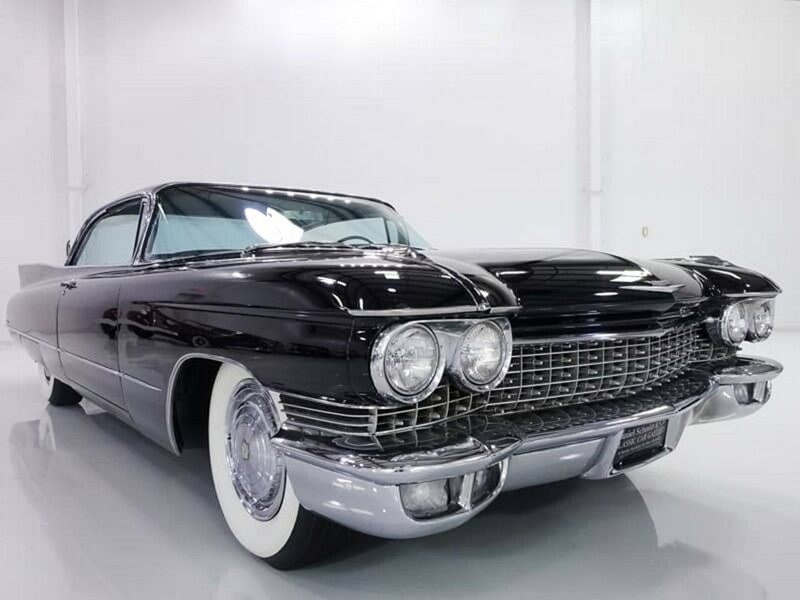 This 1960 Cadillac Series 6300 Coupe deVille has a secret. It belonged at one time to a very special person. 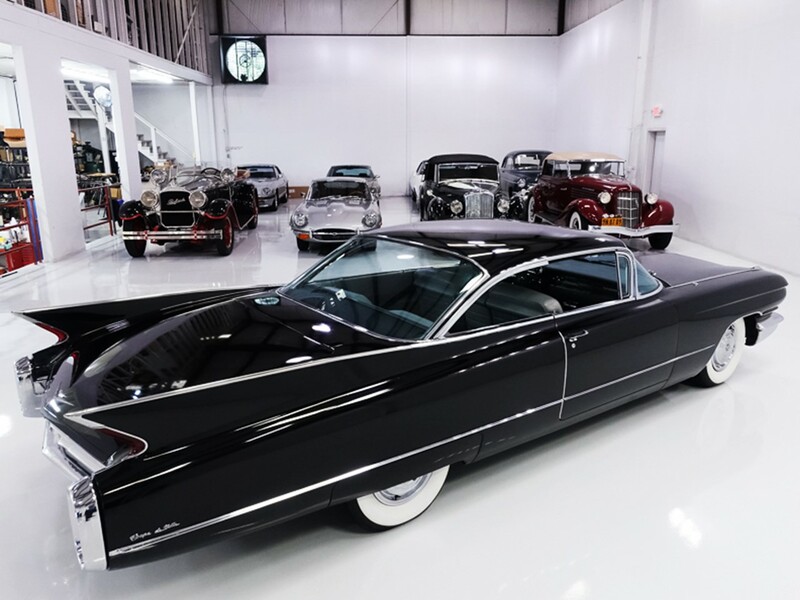 It was the personal car for Canadian-born Ann Rutherford Dozier (1917-2012). She had the role of Poly Benedict in the 1930s and 1940s in “The Andy Hardy” series. 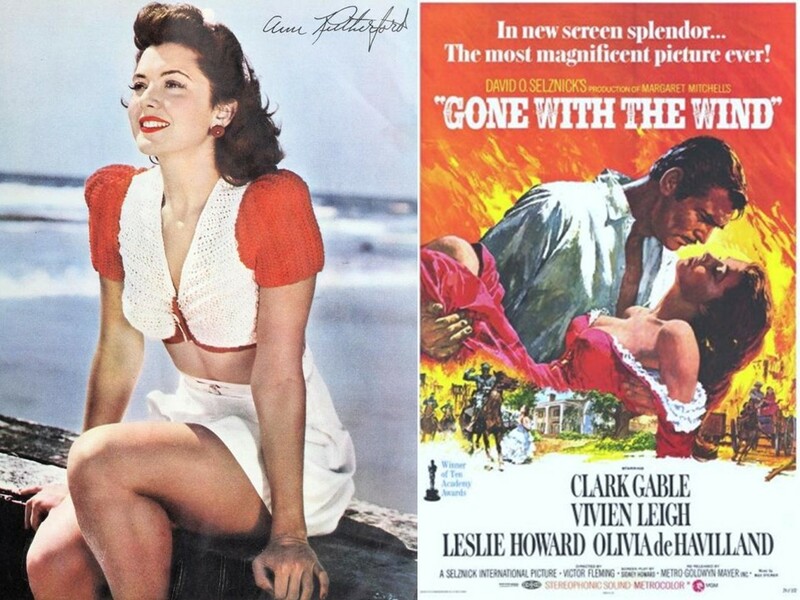 She also had the role of Scarlett O’Hara’s sister Carreen in “Gone with the Wind.” Her illustrious career spanned five decades. 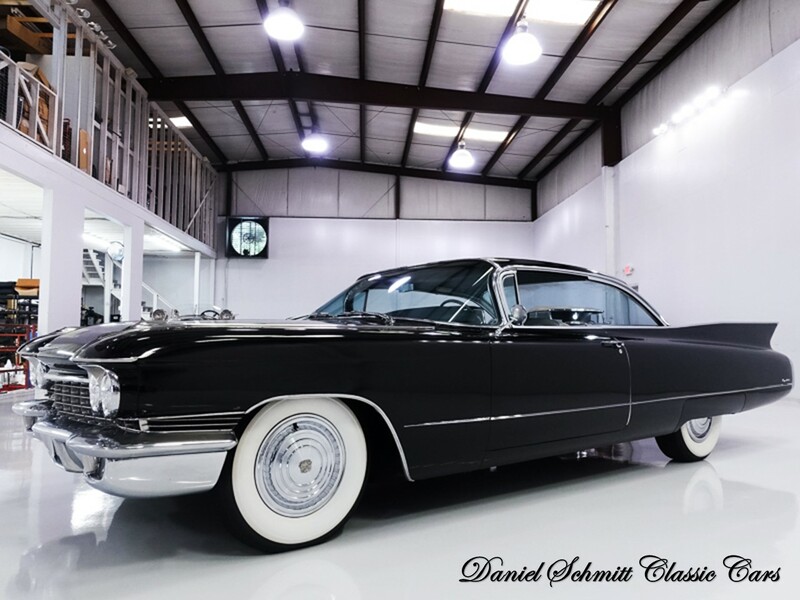 The car was sold by Daniel Schmitt Classic Cars. 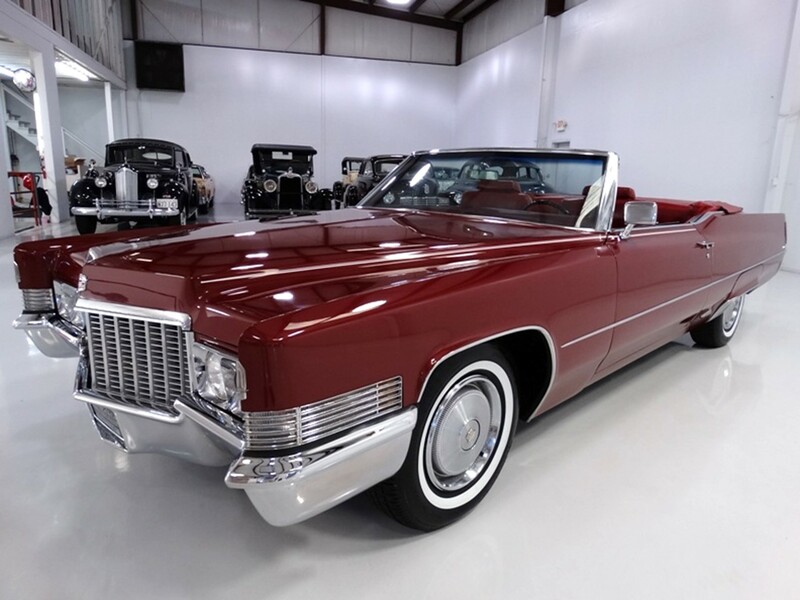 Cadillac motorcars from this genre are unique luxury automobiles. 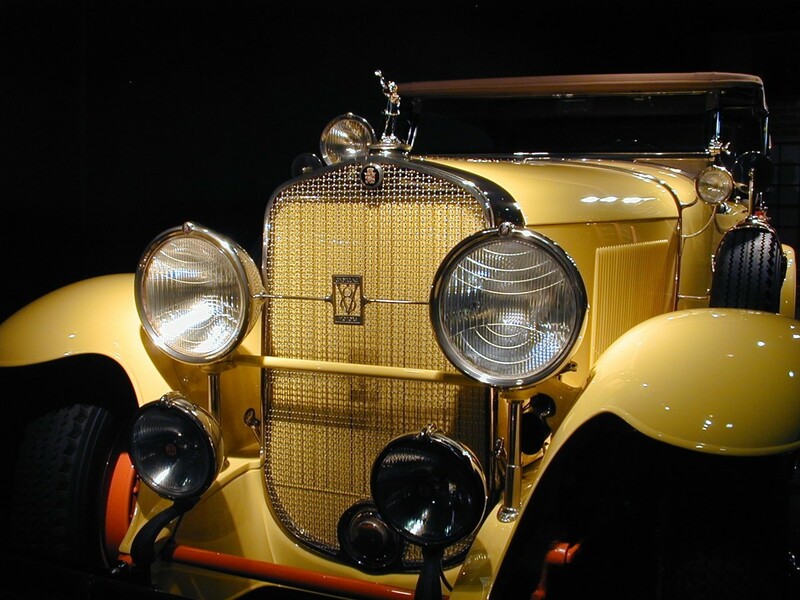 They paved the way for contemporary auto manufacturers with innovation and engineering setting industry standards. 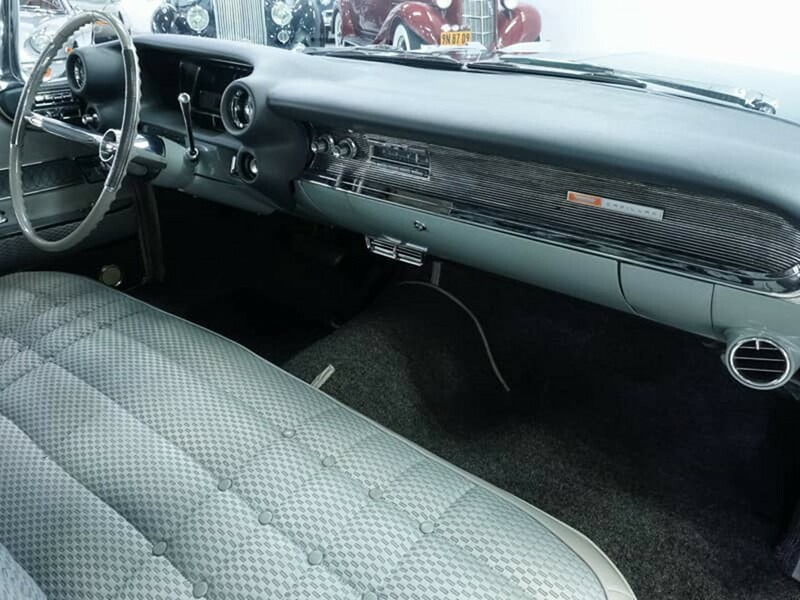 The 1960 Edition of the “Standard of the World” is another jewel in the legend’s crown. 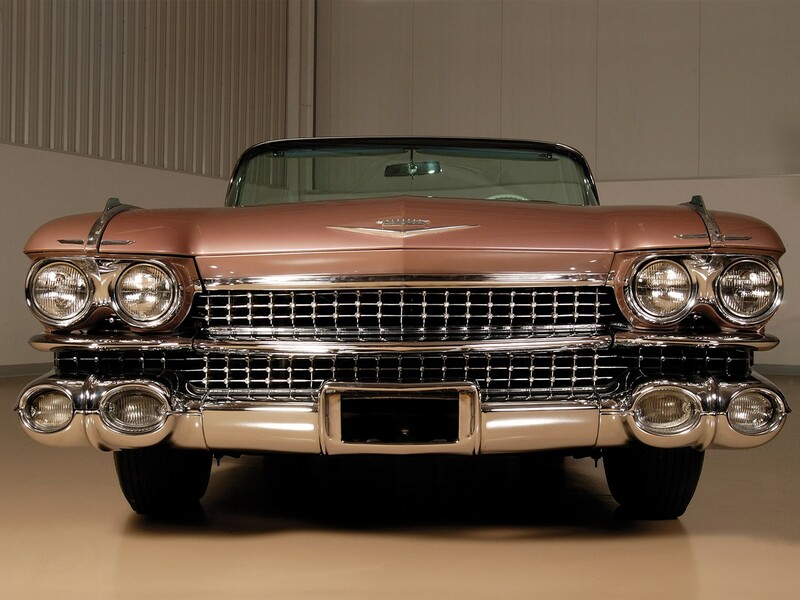 It’s a fine automobile that not only delivered the epitome of luxury and opulence but high performance as well. 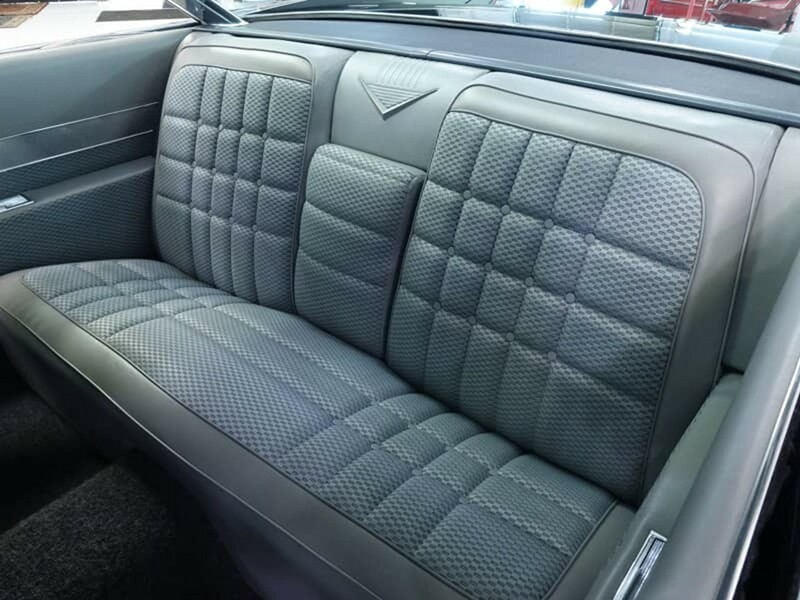 Only sports cars from Coupe deVille’s day share prodigious power exceeding 300 hp making DeVille a unique expression of American luxury. 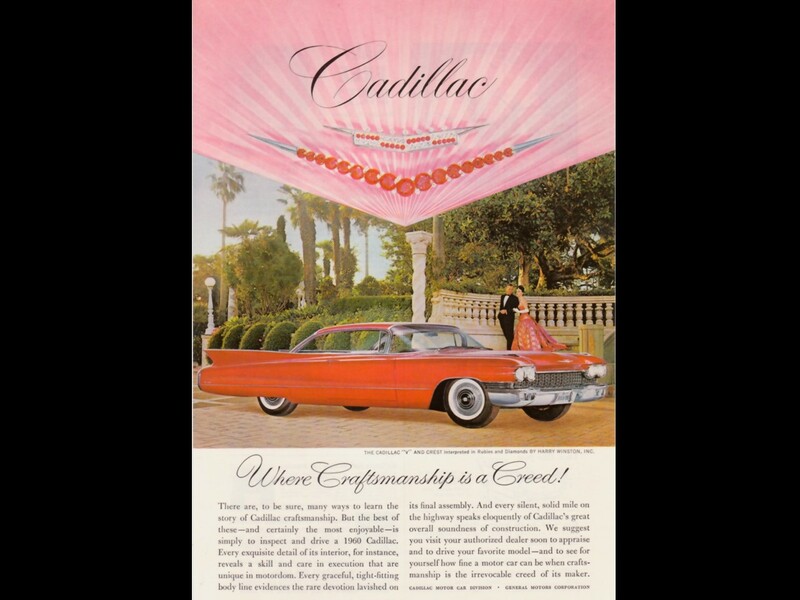 It reinforced Cadillac’s omnipotence in the luxury marketplace. Hello again! You have excellent taste! Happy New Year! 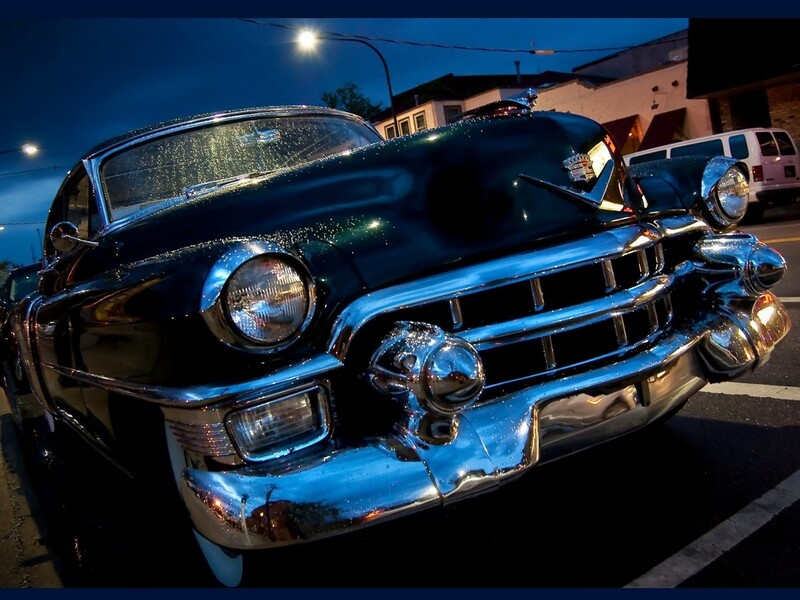 Happy New Year for everybody here, who are looking at some Marvellous & Extraordinary Cadillac, the Most Beatiful Automobiles of the World.. from France. Hello Georges! Happy New Year!! Glad you enjoyed the story. 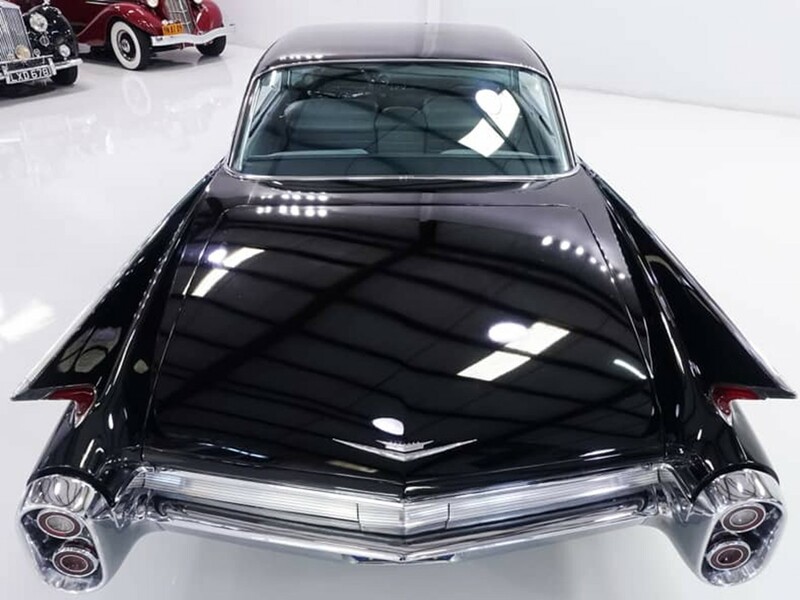 Stay tuned in for the continuing saga of “As the Standard of the World Turns!” I am also gonna sneak in a story about the Facel Vega you may also like! CHEERS!